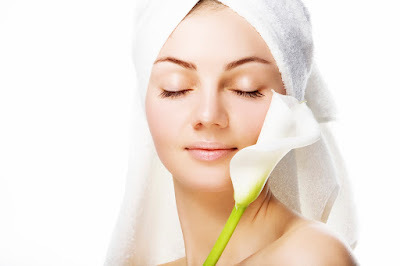 Blogged by Johri: Simple Steps to #ComeCloser to Radiant Skin! Who doesn't want radiant and healthy skin? But often we get confused by all the various suggestions and advises that we get from our friends, relatives and TV. However, everyone is different and each skin's requirements are different but still there are a few steps that work for all and can help everyone get more healthy and vibrant skin. Keep your skin healthy by keeping it clean. Bathe regularly, use a medicated soap and wash your face every time you come from outside so as to remove any pollutants, germs and grime from the skin. This will protect our skin from infections, pimples, acne and other kinds of infections that can mar the beauty of our face/body. 2) Drink atleast 2 litres of water regularly. Drinking adequate quantities of water helps in flushing out toxins, keeping our body and skin hydrated, cool and supple. Drinking lots of water keeps our skin supple, maintains the body temperature and prevents stretch marks and wrinkles from appearing early. It also keeps our skin looking fresh and vibrant. Eating healthy goes a long way in keeping our skin healthy and dazzling because through proper food, it keeps getting the necessary vitamins and minerals. People who eat healthy have such appealing skin that they stand out. Sparkling, vibrant and stunning, a healthy skin attracts people to compliment you! Form a routine and then adhere to it. Eating and sleeping on time, ensures that the body and skin get time to heal and rejuvenate while keeping us looking fresh and dazzling. Sleeping for eight hours daily and rising early, not only keeps us fit and active but also enhances our beauty and keeps our skin breathing easily, looking spotless and so appealing! 5) Apply a good quality cream to keep your skin supple, nourished and healthy. Our skin requires nourishment through food but also from outside in the form of good quality, protective creams and face washes. While the market is flooded with artificial and chemicals containing creams that claim to keep our skin shining, it is always recommended to go natural. As my elders said, "Apply whatever you can eat. ", so use a cream that includes natural ingredients without any artificial ingredients. Vicco Turmeric Cream is one such cream that has been around for years and I still remember my mother using it. Having ingredients like Turmeric which is a known antiseptic and a healthy food, it helps keep our skin protected from germs and pollutants while also keeping it healthy and beautiful! 6) Use a good Sunscreen to protect the skin from the harmful UVA and UVB rays and the scorching sun. This will protect our skin from sun burns, sun rashes while also provide protection from dangerous diseases like Skin Cancer that can happen from prolonged exposure to harmful UV rays. Apart from this, cover your face and other exposed skin when going out in the sun to further protect it from any harmful effects of sunlight. I use these simple steps to protect my skin and keep it glowing. What steps do you take to protect and maintain the health of your skin? Share with me in the comments below.